Summary: A business dashboard helps organizations get a clear view of their business at a glance. However, some dashboards are more effective than others. In this article, we explore actionable tips that your business could apply immediately to improve your dashboard’s value or effectiveness. Dashboard adoption has grown dramatically over the past few years. 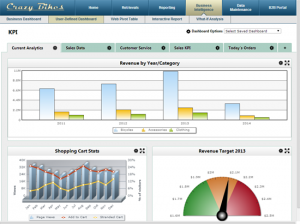 As data volumes grow, dashboards help businesses turn this data into meaningful information. If your company uses business/executive dashboards, here’s a question for you: Are you getting the most possible value out of your dashboards? It’s an important question for a simple reason: Not all dashboards are very effective. Sure, some businesses have mastered the art of the dashboard. But, others still use dashboards that aren’t delivering maximum value. 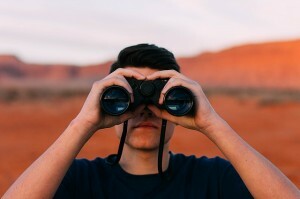 The big question: How can you get more value out of your dashboards? Today, let’s explore some simple ways that you can accomplish that goal. Here are a few small tweaks you can make today that will improve your dashboards. There’s an old saying: “You can lead a horse to water, but you can’t make him drink.” The same is true for dashboards. You can roll out a business dashboard across your entire organization, but you can’t make your employees actually use it on a daily basis. It’s a frustration I’ve heard from many a business leader. Their users aren’t using the dashboard, or are only checking them every once in awhile. What’s the simplest (and fastest) way to improve your dashboard today? Trim it down. It’s the most common problem of ineffective dashboards. There’s just too much data. Dashboard creators often include data just because they have it. This creates overwhelming and confusing dashboards. 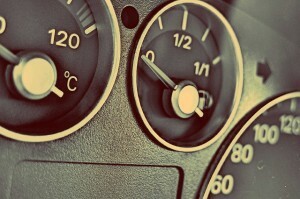 How can you make your dashboard more effective? Go through each element on your dashboard and ask one simple question: “What question does this help us answer?” If you don’t know, it’s probably not something you need. Any good dashboard tool will provide organizational features to help you create clear dashboards. For instance, what if you need to separate different types of data in your dashboard? Or, what if your users demand more data than can comfortably fit on one screen? In these cases, break up your dashboard into multiple tabs. A tabbed dashboard lets you segment different data categories into separate screens. It helps you create organized dashboards that don’t overwhelm the users. Then, examine the organization on each tab. Are your charts and graphs placed randomly, or is there a clear order? As explained below, this organization can help paint a clearer picture of your business data. Many dashboards lack one powerful element: Context. Without context, your dashboard is less effective. Let me explain. Suppose you have a chart that lists website conversion rates. It tells you what percentage of website visitors purchased your product. You open your dashboard and check your conversion rate. It’s 10%. Is that good? Is that an abnormally high conversion rate, or a low one? Can it be better? Without context in your dashboard, you can’t answer those questions. The problem with most dashboards: They’re only effective if you’re physically looking at it. As soon as you step away from your dashboard, it’s not very useful. Wouldn’t you rather have a dashboard that’s useful 100% of the time? Of course! You can make that happen with automation. Any dashboard tool worth its salt should offer some type of automation options. These options let your dashboard respond to changes in data automatically, or perform tasks based on pre-determined events. I hesitate to add this tip, because it’s slightly more involved than a “simple tweak”, unless your dashboard tool offers this feature. But, I mention it because of the value it will add to your dashboard. Many dashboards are static. They display the data, and do little else. Some might let you drill down on the data. Others might let you adjust the layout. But, far too few dashboards let you toggle the data. What does that mean? For instance, suppose your executive dashboard displays sales. Adding toggles to this dashboard would let you filter these sales by region, salesperson, customer, and more. Just click a button, and the data changes. Now, some dashboard tools offer this feature out of the box. If your dashboard has this ability, make sure you take advantage of it. This one change will dramatically improve your dashboard’s usefulness. These are just a few small changes you can make to improve your dashboards, but the list could certainly be longer. Would you add anything to this list? If you would like to add anything to this list, I’d love to hear it. Feel free to share in the comments. There were indeed some good tips here. In addition, organizations may wish to provide a visual of the “customer journey” or “path to purchase.” Examples could include a store layout, an airport terminal or online vs. offline purchases decisions. Then they should place relevant data next to the corresponding image. This enables C-level execs to easily and quickly see what is working and what is not. That’s really helping Joe. This needs some more explanation as you said “the industry standard conversion rate might be 1%–meaning your conversion rate is great by comparison”. Waiting for reply.